Irtiqa: Sacred Engine and the preservation of order in "Snowpiercer"
Sacred Engine and the preservation of order in "Snowpiercer"
The movie is much better than its trailer. If you can stomach graphic violence, then check out Snowpiercer, directed by Korean director, Bong Joon-ho. The premise is outlandish. After a failed experiment to fix global warming, all of humanity is extinct except for those who boarded a global train, the Snowpiercer. It has been running for 18 years now, but there are tremendous inequalities in amenities available on the train. The front of the train has parties, greenhouses, good food (including sushi), music, and even a school with fascinatingly creepy education. The back of the train, however, lives in misery, and it is unclear if they are really that better off being on the train at all. The above description may not seem that interesting. However, the movie then plays with the theme of human survival in different ways. For example, the engine is considered "sacred", as the all powerful engine (and its inventor and operator) is the only thing keeping the humans alive (it is so cold outside, that humans cannot go more than few feet from the train before freezing). But more interestingly, there is an insistence on the maintaing of the status quo, including keeping the population at a certain level. Everything is preordained. Those who are in the back of the train, should always be in the back of the train (and remain underprivileged), and those at the front of the train should always remain at the front. An effort to change this will result in chaos and to the extinction of these remaining humans. 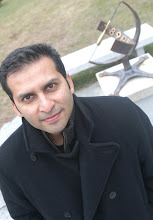 The heart of the film lies in asking if humanity is worth preserving such an unfair system? The movie also reminded me of Aronofsky's Noah, which I absolutely loved. In Noah, God was disgusted with humans and wanted to wipe out all of humanity. The fact that humans survived (oops - a spoiler for the flood story) was because of Noah's humanity (his failure to kill his own grandchildren) and not necessarily because of God (this ambiguity is what makes Noah fascinating). In Snowpiercer, we also have an ark, but God (or at least the operator of the sacred engine) wants to preserve humanity and that will exact a high cost on the humans (and/or human dignity). 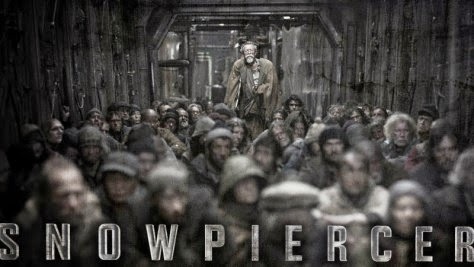 'Snowpiercer' Theatrical Trailer from J.D. Funari on Vimeo. Also see this article on designing the train sections of the film. Also, the movie is a fantastic product of globalization: The film is based on a French graphic novel, has a predominantly American cast, and has a Korean director working with a Czech production designer.